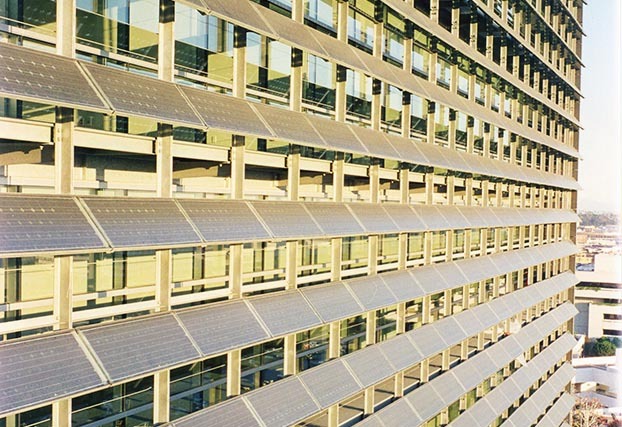 All view glass on south of CalTrans District 7 Headquarters is shielded from solar gain with our custom BIPV solution. Design by Thom Mayne Morphosis. 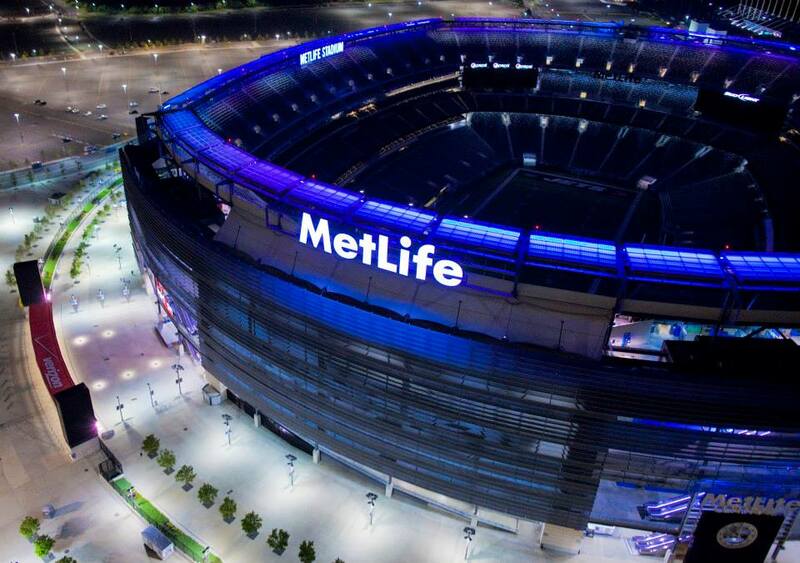 MetLife Stadium Solar Ring Project at night. Our 1400 custom modules have RGB LEDs below the glass. This creates a mood ring for the entire stadium. Immediately after ring was installed Hurricane Sandy arrived. No problem, even though the ring is 185' above ground level. An architect's design can express commitments to sustainability. It is true that solar can be hidden on the flat roof. However the facades, window shades, skylights and canopies all are visible to the street and the people who work in the building as well as customers. Our approach is to unleash that design as a public statement for a building that has its one sense of power and aesthetic. We make custom modules that have won awards in multiple venues, including the Pritzker prize 2005.